The MISTI is fantastic for mass producing cards ... today I used it to combine multiple stamps for background stamping. My snowflakes and sentiments are from Technique Junkies Snowflakes Set (you can use my code TJ10Stephanie for 10% off anything in the Technique Junkies Store). 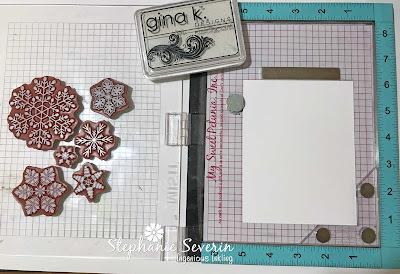 I positioned the snowflakes to cover my watercolor panel, and then inked-them with Gina K. Designs White Pigment Ink. I used my Creative Corners, Bar Magnet and Round Magnet to hold my paper in place and allow the snowflakes to overlap the edges of the paper. After I inked, I clear embossed the background. 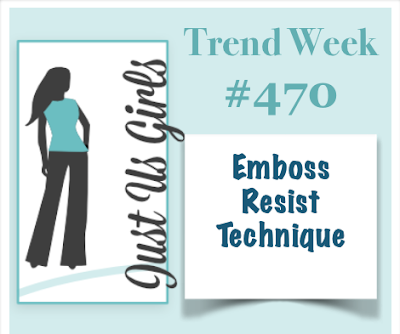 My next step was to spray the backgrounds with Shimmering Bliss Spray for a resist technique. I've used the same long cardboard box for spraying for years. The one on the left is Ocean Depth and the right is Lapis Lazuli. After the Shimmering Bliss Spray dried, I began assembling my cards. 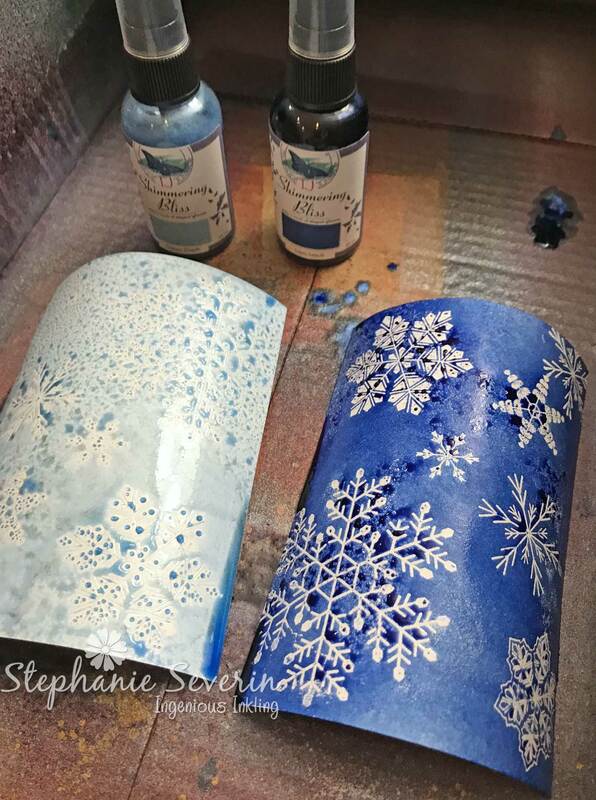 I love the gorgeous shimmer with my snowflakes. 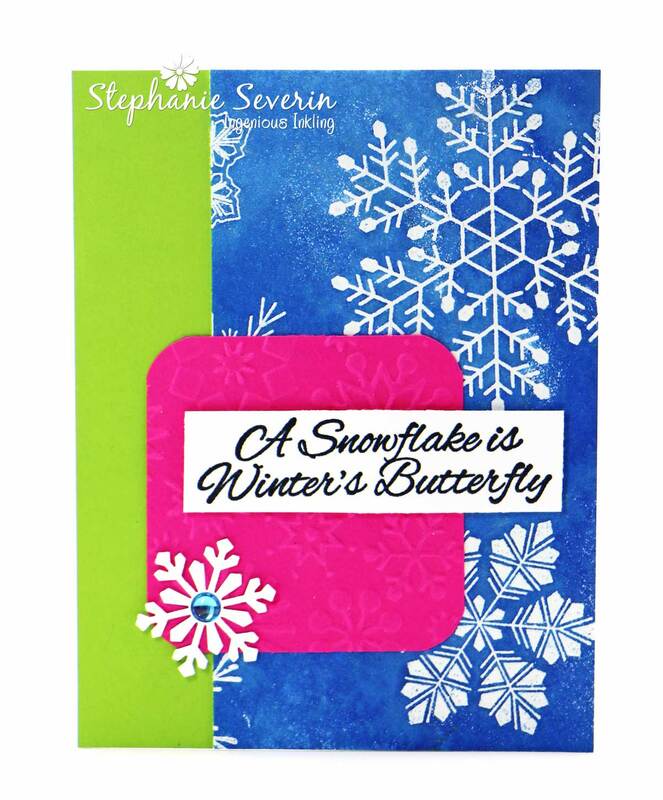 This one used Dolphin Cove Spray on the background and my punched snowflake. 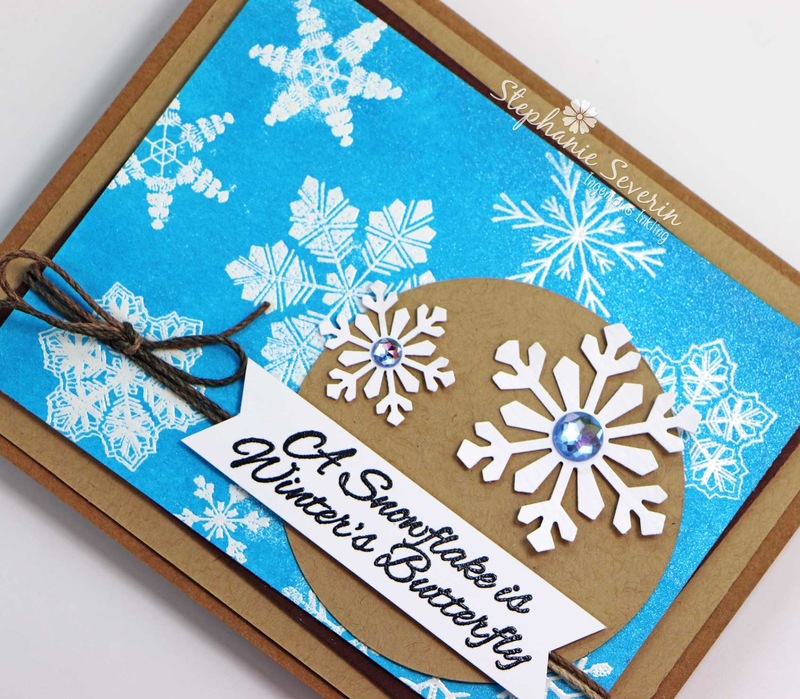 I added a large felt snowflake and sticker sentiment. I'm linking this card up at Just Us Girls Emboss Resist Challenge. 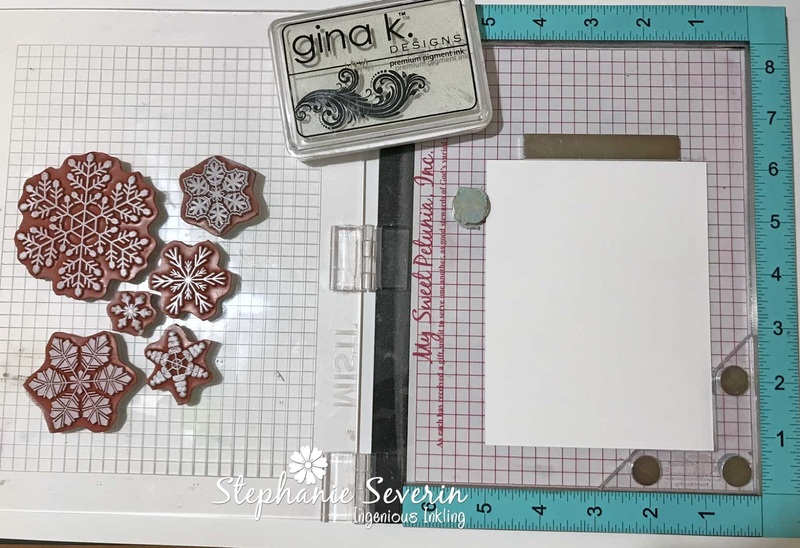 The MISTI also allows me to stamp the group of sentiments from the Technique Junkies Snowflake Set all at the same time, emboss at the same time, and then trim ... speeding-up the process. 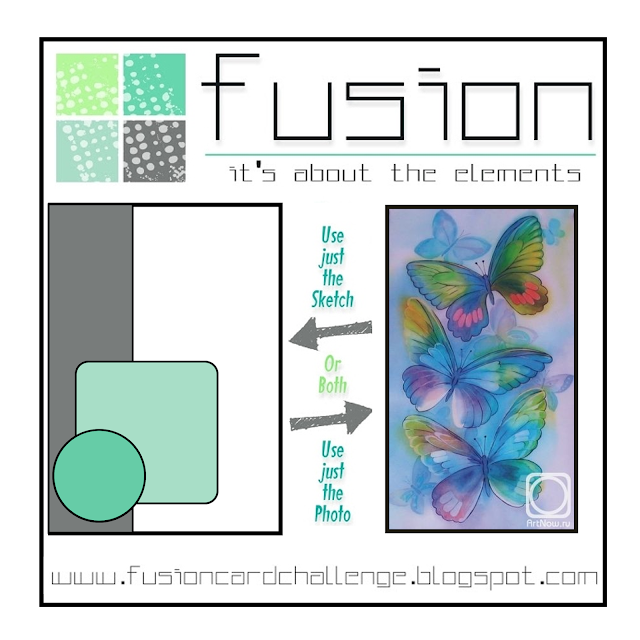 For my next card, I used this week's Fusion Card Challenge Inspiration Photo & Sketch for my card. 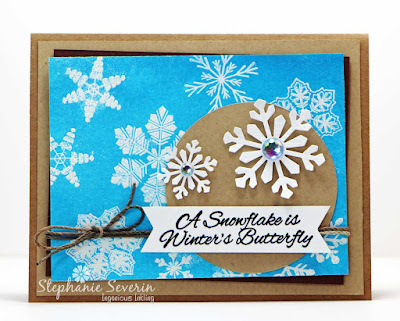 Since one of the sentiments said "A Snowflake is Winter's Butterfly", I thought it would be perfect. 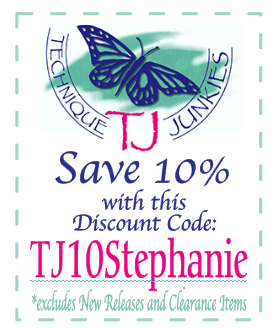 I pulled in the vibrant colors from the photograph to create my card. 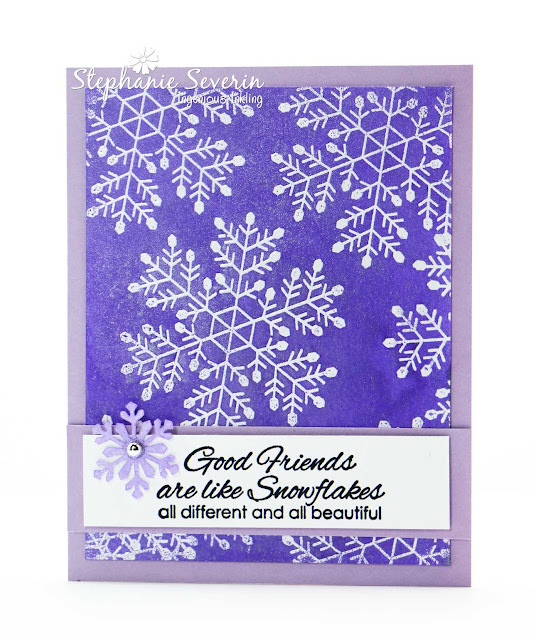 I embossed my pink panel with more snowflakes and added a snowflake punched from watercolor paper for my accent. 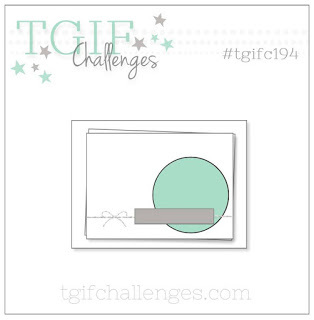 Next I used this week's TGIF Challenges Sketch for my design. 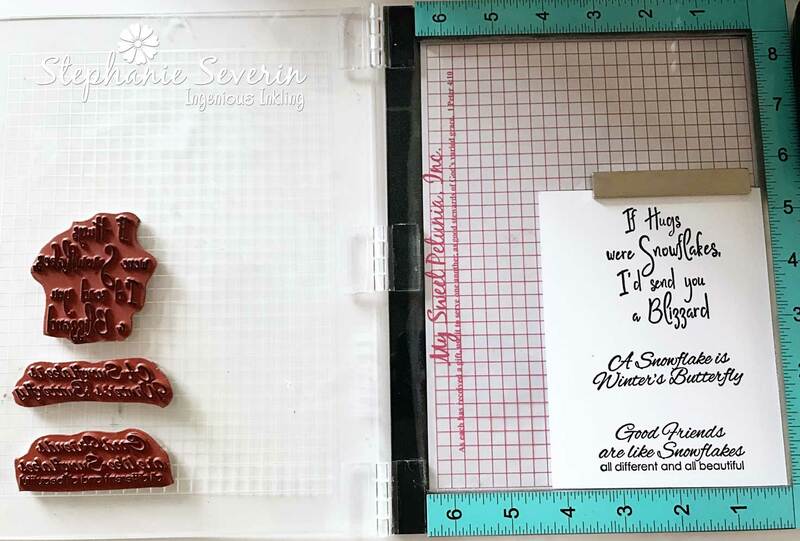 I combined the Dolphin Cove Colored Background with three shades of brown ink inspired by the cozy inspiration photo from the January Elemental Challenge at Daring Cardmakers. 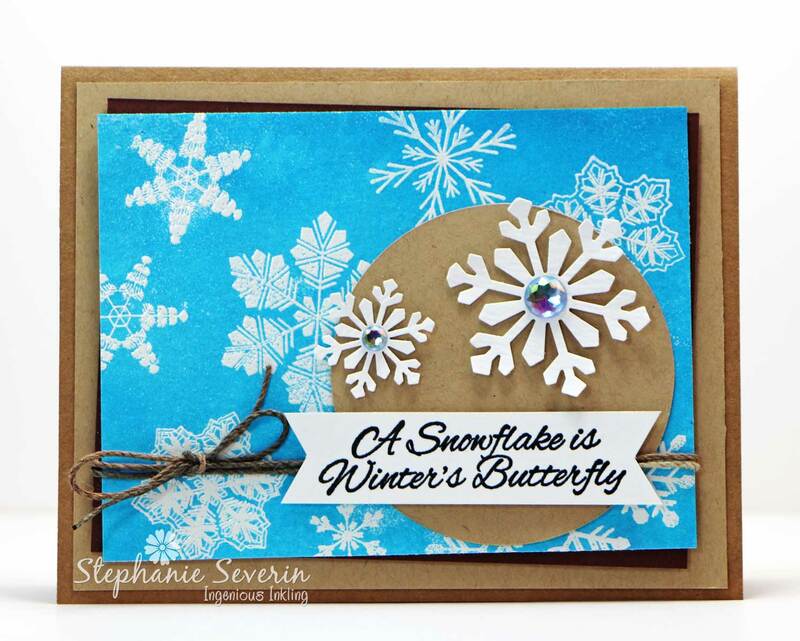 I wrapped my card with a variegated brown twine and then added some gems to the centers of my punched snowflakes. 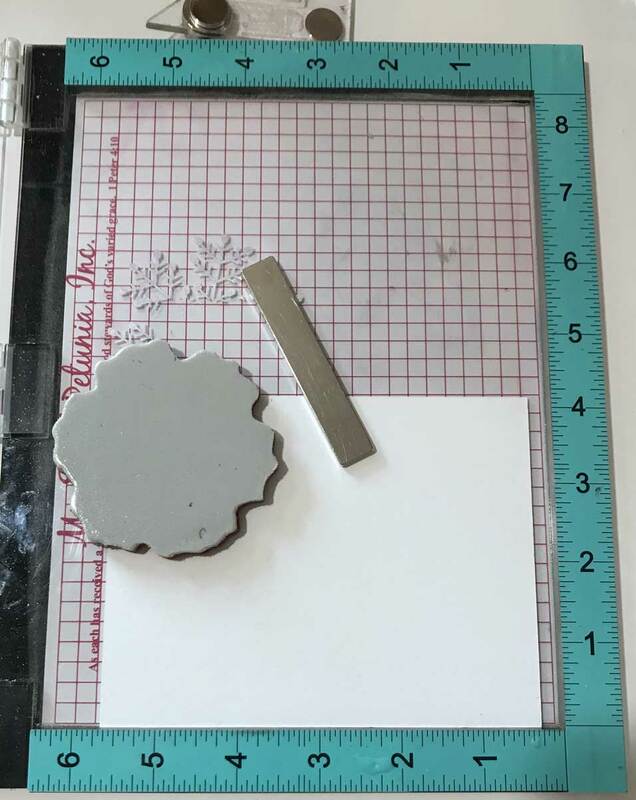 Another way to do a MISTI background is use a single stamp and move the paper around in the MISTI. I did that with the Large Snowflake. For this one I sprayed it with Mardi Gras Purple Shimmering Bliss ... how pretty is that purple. I combined it with some lighter purple cardstock to let the background shine. I hope I've given you some ideas about how to create backgrounds with your MISTI ... go forth and STAMP. I really like this! Thank you for sharing the tips! 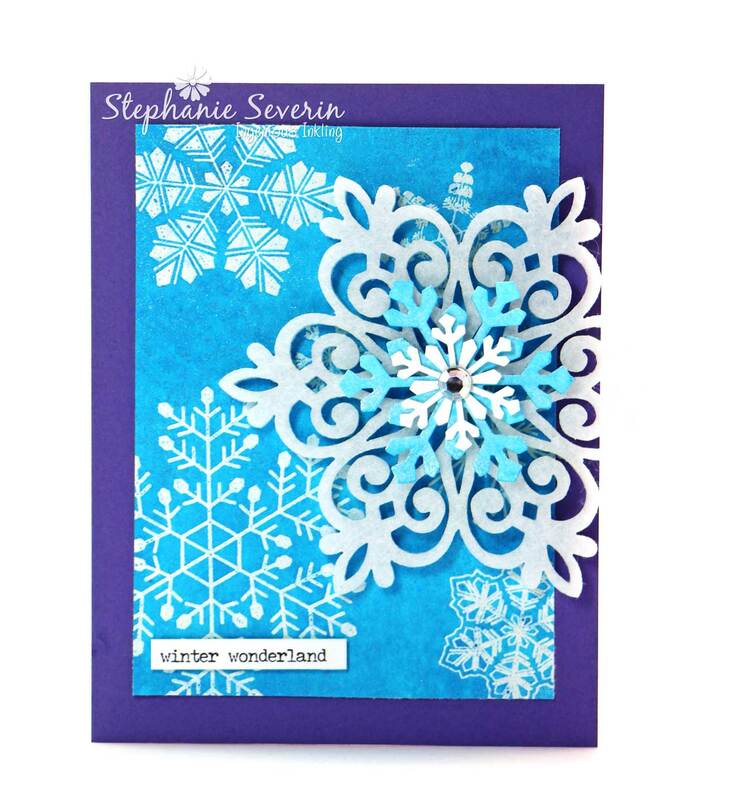 This Winter Wonderland card is so pretty! Love the bold snowflake and that fabulous background! 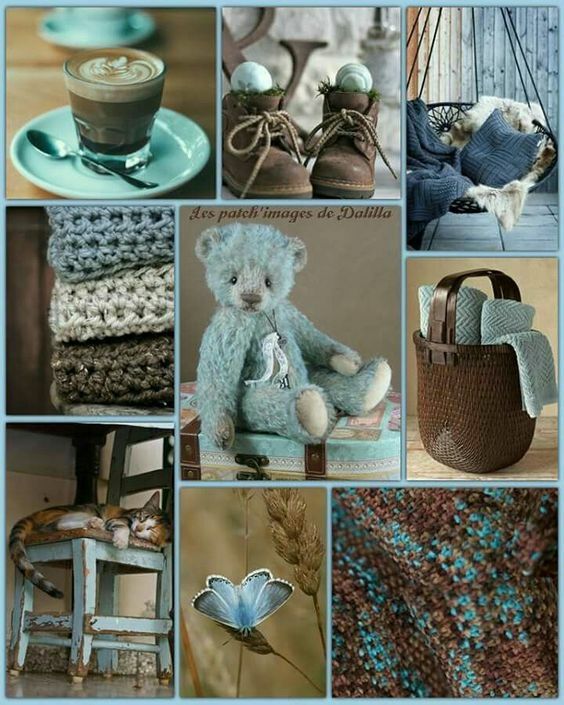 Thanks for all the detailed photos and for joining us at Just Us Girls! Great tips Stephanie. These all turned out amazing. I think I’m starting to get the shimmering mist spray bug. 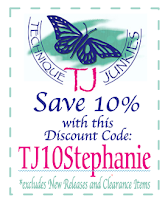 Thanks for the discount code. Stunning background and card!!! All your cards are gorgeous! 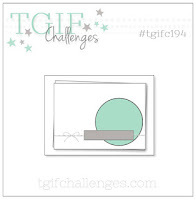 Thanks for playing with TGIFC this week. 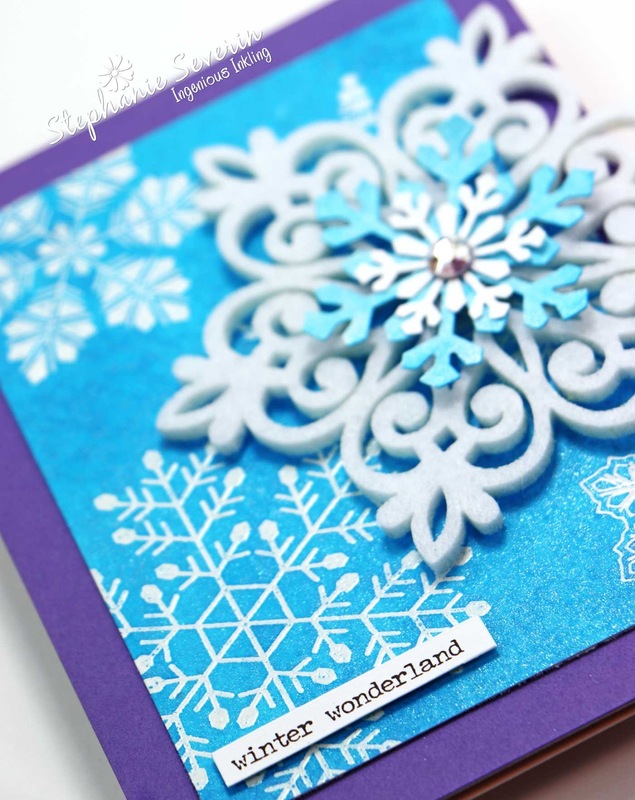 Wow beautiful wintry cards! I love snowflakes! 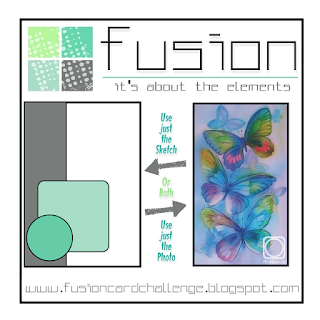 Glad you shared one at FusioN!